I saw Carol last week and saw that it's based a book by Highsmith so now I want to read some of her work. Short stories like this might be a good place to start. That's what I did. This is pretty short. I also just read Stranger on a Train by her too. Like Kathy I've been meaning to read some Highsmith now that Carol's around to keep reminding me she exists. The Price of Salt is definitely one I'm keeping in mind, and this, too! I'm curious about Salt too. For now, I've had enough Highsmith though! I read this an your review of Strangers on a Train this morning. What do you think about stereotypes in her work. You mention the gay villain in Strangers on a Train and the characters in this book as well. She really seems to walk the line between being about prejudice and being prejudiced. She's someone I should get around to reading soon, crime fiction fanboy that I am. I don't know if she was just leaning into those ideas because they were what people believed then or if she believed them herself. The Goodreads reviews were divided as well. Seems no one knows! I think I'd have to read more about her. This is one case where the personal life of the author might shed light on her fiction. I know she was bisexual, but that's about all I know. Maybe Carol (The Price of Salt) being so different from her crime fic might reveal a different perspective. Interesting. How hard were the stereotypes to stomach? Were they so over-the-top that it was easy to laugh off, or were they a bit too infuriating for comfort? 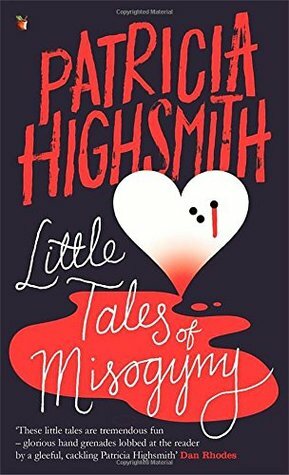 I tend to shy away from short stories anyway, so I doubt I will read this collection, but there is something about the subject matter that bothers me. Although, playing a piano while flying through the air only to end in an explosion does sound pretty silly and fun. Most of them were so ridiculous I couldn't take them seriously. A couple made me a little sad though. And they could be somewhat dated.